Kelowna BC Premier Window & Door Replacement Specialists. Nagy Bros Windows is a Canadian owned and operated window and door supplier and installer. With over 30 years experience in the industry we can guarantee we have the knowledge to ensure you are choosing the best windows for your unique needs. Our installation experts are dedicated to completing your project (large or small) with quality results, on time, and within your budget. Nagy Bros Windows offers a full range of windows and doors from multiple manufacturers. Since we are a Certified Milgard Dealer we specialize in residential construction products manufactured by Milgard Windows & Door, but we also provide products for small and large multi-family projects. 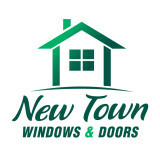 We are able to take care of ordering, delivering, and installing windows and doors based on the clients' needs. We also offer finishing services for new construction and renovation projects. With our office located in Kelowna, BC, we service the entire Okanagan area! We provide a wide variety of Vinyl, Fiberglass, Woodclad, Combo Wood interior / Fiberglass exterior, European Tilt and Turn, and Custom windows. Let us know what you are looking for today! Glass and glazing services for residential and commercial customers. With all work guaranteed and clear accurate quotes. Vinyl Windows and Doors: If you still have single pane glass windows. You might want to consider an effective upgrade, call now and save on your next heating bill. Shower Glass: We are no stranger to custom shower glass. We Measure and install a variety of different shower designs giving you the ultimate look to your new Bathroom. Mirrors: Having years of experience dealing with tricky mirror installs. We will help you decide what options you have to enhance the look of your bathroom forever. This includes hole cutouts, bevels, clips and frames. Sealed Unit Replacement: We will replace your Failed or broken window's with the newest standard in eco friendly, high efficiency windows. They practically pay for themselves. We also specialize in railing glass, table tops, shelves and more. *Authorized Kolbe Windows & Doors Dealer* Over the last 20 years, Grand Openings has established a close working relationship with designers and architectural firms offering Kolbe product engineering and design flexibility. Modern Design Direct set windows are designed for projects which do not require operating windows but require a large daylight opening for maximum visibility. Direct set windows are often used to create the traditional detail similar to old storefronts, while offering maximum viewing area. Some have a streamlined appearance, which can work well in contemporary projects. Traditional Design Kolbe products are suitable for historical construction projects: Kolbe offers high end windows and doors with attention to intricate details. Our products are designed to provide traditional design aesthetics, ease of operation and optimal energy efficiency. Numerous options are available to further restore the beauty of your project, including custom wood species, historical casing, and numerous divided light possibilities. Marvin Windows and Doors is a family owned, 105 year old window company. We pride our self on offering premium products and a superior warranty. We are one of the few companies offering Fiberglass and Aluminum Windows and Doors within the Okanagan market. N.A.P. Windows & Doors Ltd., has manufactured windows and doors in Western Canada since 1969. Our product lines have evolved with science and technology advances, from aluminum frame single glazed windows in 1969, to energy efficient PVC vinyl frames with triple glazed low emissivity coated, argon filled, warm edge spacer, insulating glass units. Our Products are designed for and distributed to the extreme climates of Northern Canada, such as Yellowknife, Northwest Territories and Whitehorse in the Yukon Territory. N.A.P. offers a wide range of product lines developed for residential new construction and renovation, as well as commercial and institutional applications. 95% of the products used in the manufacture of our windows are fully recyclable. N.A.P. is taking a LEADERSHIP ROLE IN PROMOTING Products which are designed to reduce greenhouse effects and the carbon footprint for our consumers and for ourselves. Look for our Products featuring this LIVE GREEN trademark to support OUR EFFORTS. Discovery Glass & Aluminum Inc. Discovery Glass was established in 2006 and has evolved into a technically proficient and innovative glazing contractor, building strong relationships with customers and industry partners. Since then, the company has grown in response to our customer’s requirements for cutting-edge high-quality custom glazing products. Discovery offers our premium builders the best window and door products available in the commercial glazing industry for the high-end residential market. As we discovered performance and design limitations with existing window and door products, we looked for the best available options in the global marketplace. Highly evolved and energy efficient products in Europe provided the performance levels we were looking for. Discovery Glass moved into a larger facility and began manufacturing a high-performance European-designed and engineered window system. The system is able to meet and exceed new energy-efficiency regulations, therefore improving service to our growing commercial glazing commitments. Essential to your Summerland, BC home’s beauty, function and feel, windows are one component that should never be overlooked. When they aren’t doing their job, you’ll know it, and the resulting leaks, drafts or other problems can be costly to rectify. Hire a trusted Summerland, BC window dealer to help you select and install your windows, and you’ll enjoy the rewards of your smart investment for years to come. Whether you’re building a new Summerland home, remodeling an old one or just replacing a few windows that are past their prime, your window dealer in Summerland, BC will help you pick the right windows for your needs, home style and budget. Windows come in so many sizes and types that expert advice and direction is invaluable in helping you make the best decision. These pros can also help you with custom window designs that complement your space better than something ready-made. Lastly, if you are interested in doors with windows, these experts are also knowledgeable about sliding doors, French doors and other paned portals. Find a window dealer on Houzz. Narrow your search in the Professionals section of the website to Summerland, BC window dealers. You can also look through Summerland, BC photos to find examples of windows that you like, then contact the window professional who worked on them.